Sawaddee kha. My name is Nat. I am a lead translator at the Expert Thai Translation Service. I am also a certified translator in Thailand, Australia and England. My interest in languages started in high school, where my core subjects were English and French. During my final year, I participated in the AFS Intercultural Exchange Programme, to study in Western Australia for a full year in 1996. With a Bachelor of Arts in English Language from Ramkhamhaeng University, Bangkok, which was awarded in 2000 and a Master of Arts in English > Thai Translation from Chulalongkorn University, Bangkok, awarded in 2004, I am well qualified to offer a thorough understanding of the English language and its translation. I have been working in the field of English < > Thai translation ever since. In 2009, I added a Master of Business Administration degree from the U.S. accredited Webster University, Bangkok. Armed with qualifications in both language and business, I took a position as global account sales manager at Tyco Fire, Security & Services (Thailand) Co., Ltd. This has proved a fine grounding for the translation of business and finance documents. My specialty is the translation of legal documents, gained during five years of employment in the Bangkok offices of law firm Allen & Overy, who are widely considered to be one of the world’s elite law firms, advising national and multinational corporations, financial institutions and governments. In 2011, I was registered as a court expert in English < > Thai translation in Thailand. 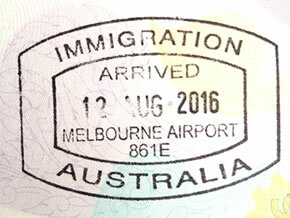 In 2014 when I became a permanent resident of Australia (under General Skilled Migration Program (Translator)), Expert Thai Translation Service was set up to serve clients in Australia. With support from my colleagues who are professional translators practicing in Bangkok, clients in Australia including corporate, translation agencies, and individual clients now have access to quality translation service at competitive rates. I have been able to establish a network of contacts in the legal profession, including lecturers in law, who are kind enough to offer advice and feedback as necessary. As to professional membership, I am currently an MCIL member of the Chartered Institute of Linguists (CIOL), U.K. and a lifetime member of The Translators and Interpreters Association of Thailand (TIAT). As part of CPD requirement for revalidation of the professional accreditation and registration that I hold, I regularly attend seminars in translation, law, business, and other fields of interest. I have been writing articles on translation (in the Thai language) in my blogs since 2012. Use of this website and our services is governed by our terms and conditions and any operating rules or policies that may be published by Expert Thai Translation Service (“We”). Our terms and conditions constitute the entire agreement between the parties and supersede all prior agreements, understandings and negotiations on the subject matter. Please read our full terms and conditions on the Terms of Services page. By using our services, you are agreeing to these terms. Copyright © 2015-2017 expertthai.net All Rights Reserved.